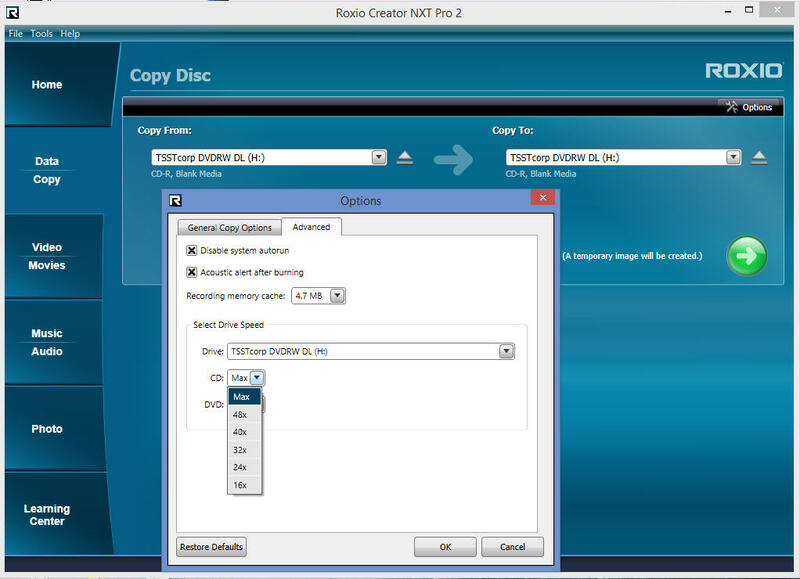 Using Creator NXT 2 to copy CD originally burned in iTunes. Copy Disc function randomly seems to fail when closing the CD burn process. Some CD's are readable on other Dell laptop. Other times the burn/close process seems to be hung. An audible sound can be heard as if the CD was bad. I have tried an assortment of other manufacturer CDs. I close down NXT 2 and restart. It may work it may not. 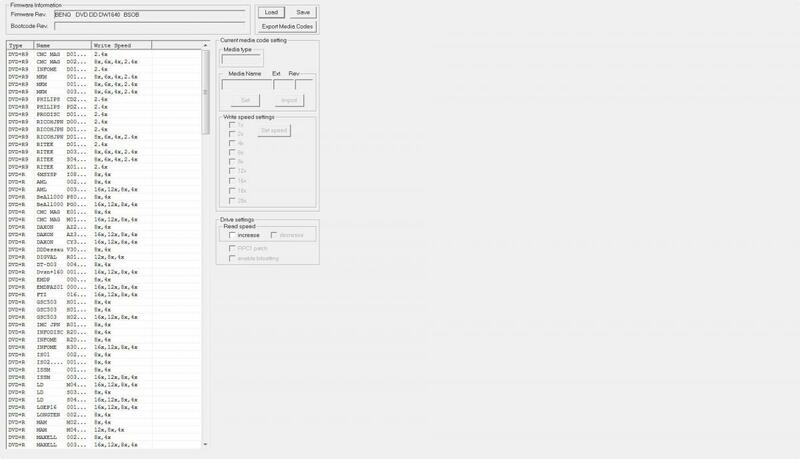 This problem was happening on the 2010 version of Creator. I was hoping the new version would fix the problem. I'd be interested to know what other brands of blank discs you've tried. Staples brand is one I wouldn't usually spend money for myself. Verbatim discs have historically been good. JVC/Taiyo Yuden are considered very good. Are the discs created using iTunes always readable? Do you know what speed iTunes burns the discs at? What speed do you let Creator write at? iTunes discs are always readable, no matter the CD manufacturer. That is part of my process. As soon as I burn the original iTunes CD, I test it on another Dell laptop immediately. Interesting observation about burn rates in iTunes vs NXT 2. I will test that immediately. Just for reference, as drives got faster, I know someone with specialized testing equipment who observed that almost every disc written faster than 16X (the slowest most drives will go now) had "correctable errors." So I usually just write at 16X for my audio CDs. I changed NXT 2 to 24x. Also..I use the Copy to Disk function first option that NXT 2 provides. Just copied a previously burned iTunes audio CD. Testing the NXT 2 copied CD on another laptop. It is readable, all 15 tracks. No going to test using the NXT 2 Make Another function. iTunes does support the 16x burn rate. But I see that the only 2 options for CD burn rates in NXT 2 are 24x or MAX. second CD burned on NXT 2 using matching 24x burn rate sounds good. This may have been the issue all along. Man..I have wasted dozens of CD's trying to figure this out. I certainly hope that does it for you! Thanks for for trying it out and letting us know! When burning/copying CD's using disparate software products, make sure the burn rates match!!! Write speeds are what firmware the drive has for a certain brand of disc's! Just a point of reference, the OP is making Audio CDs, and the link you posted is for DVDs. I haven't seen any CD-R discs available for many years that were rated less than 48X or 52X. 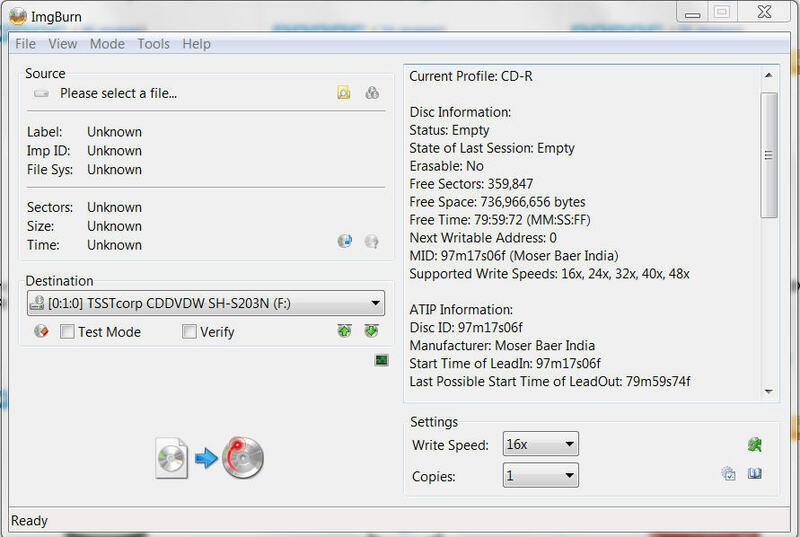 Here is a Verbatim 52x CD-R farmed out to a poor manufacture Moser Baer India. Although it's a 52x write speed on the label my drive and firmware only shows a 48x write speed as the fastest safe burn speed. I hate to keep whipping this horse but how would that be changed in the Roxio Suite, say to keep it at or below 48X??? At one point, I was under the impression that the drive was supposed to determine the maximum write speed listed for the disc. (By reading the information on the disc.) And then limit itself to writing no faster than that. But I'm thinking back to when drives and discs were blazing at 12X and 16X. For myself, I typically tell it to burn at 16X for CDs (sometimes 24X), and 4X or 6X for DVDs. The OP declared the problem resolved at post #8, but the topic is still running? . . . . Yes. Just a continuing discussion to answer the nagging questions of, "how could this be better?" or "how would this be prevented in the future?" That is because of the disc your using and the firmware of your drive.